The Edinburgh University Shakespeare Company is proud to be entering its eleventh successful year, having gone from strength to strength in establishing what is now one of the most respected performance groups at the university. The Company, made up of an increasing number of talented actors, directors, designers and producers, is committed to the production of one large scale Shakespeare play each year as well as holding frequent workshops covering topics from literary analysis to stagecraft, theatrical history, adaptation, costuming, and set design. No matter what aspect of theatre you’re into, everyone is welcome to take part in workshops and productions in the safe creative space of the EUSC where everyone is learning new ways to engage with Shakespeare’s work! As well as acting you can also try your hand at producing and directing or get involved backstage with the tech or stage managing – there are always experienced helping hands to show you the way! 2011 - A Midsummer Night's Dream. 2010 - Macbeth (this production also toured the Scottish Highlands for four days in the Easter of 2010, including two performances at Macbeth's home, Cawdor Castle). The EUSC's committee accepts applications for each year's core show (opening late-Spring) with the aim to present in the spring of Semester 2 of the following academic year. All you have to do is decide on a play and apply! We then host informal interviews before the end of term in order to discuss the applications and go from there. We offer opportunities to join the company through all sorts of ways surrounding the show, usually opening from September - from directing, acting, producing and production managing, to tech, set, costume, hair and make up and much more! However, the company is always looking for extraordinaries - so if you have an idea for a small-scale show, or even something completely wild and unusual that you’d like the companies help with, please don’t hesitate to get in touch. We hold workshops every month with a whole host of exciting practical and lecture-based events. 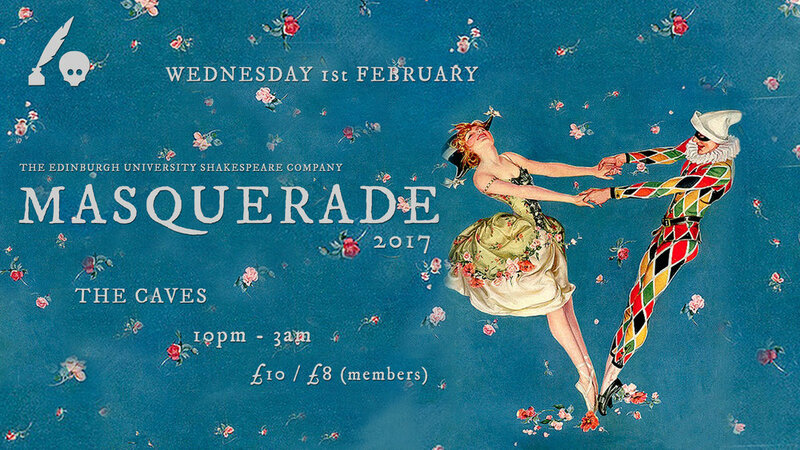 Throughout the semester we hold lots of fun socials including (but not limited to) parties, cinema trips (NT Live, RSC etc), pub quiz, film screenings and, of course, our legendary Masquerade each year. If you have ideas for a workshop or there is something you'd be interested to learn about, just drop us an e-mail or come along to one of our events and speak to our committee. We’d love to see you. 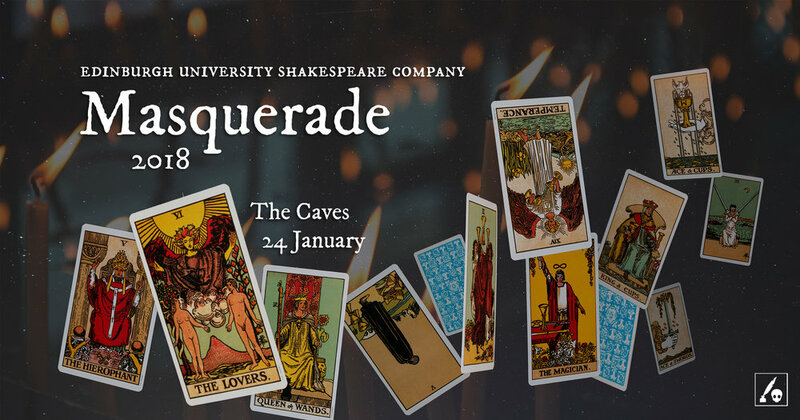 Masquerade is an annual event for the Edinburgh University Shakespeare Company and one of the biggest events on the Theatre Societies social calendar. It takes place in January of each year at The Caves and is one of the most widely-loved events in Edinburgh. Next Masquerade will take place in January 2020.